"The Big Three": Kenya, Tanzania, South Africa. Everybody knows these countries and has seen the beautiful documentaries about their rich wildlife on television, and some of you might actually have had the opportunity to observe the elephant, buffalo, antelopes and other wildlife in their natural habitat from the back of a 4x4 Land Rover. Lynn Clifford and WAG Malawi Scouts in Thuma F.R. Great, isn't it? Well, for us it is also daily work but we do not do it in one of the above mentioned famous wildlife countries but in Malawi, one of the many other countries in Africa, which, unfortunately, do not get the exposure they actually deserve. First of all, Malawi is not a famous wildlife-hotspot. In fact, many people have never heard of Malawi, and for this reason, many potential donors are more willing to donate money to projects in the more famous (fashionable) wildlife countries. Few donors, who are interested in providing NGOs in Malawi with funding, are not very eager to pay for salaries of staff. Most NGO's working in conservation receives funding for starting micro-projects in villages, for putting up an electric fence to keep elephants out of the fields of farmers, for putting up direction signs, for buying GPS's for mapping natural forest resources, for conservation awareness projects and so on. Most people acknowledge that these activities are extremely important in conservation, and so do we, but at the same time often hardly any funding is made available for paying the staff, who are crucial for actually doing all this work. And even more important, and where it all starts with, the primary task of scouts and other field staff is to protect and to secure the wildlife in the reserve; micro-projects and direction signs are of course utterly useless, when at the same time, the wildlife in a reserve is poached to extinction because of the lack of field staff. Let us introduce ourselves to you - We are The Wildlife Action Group (WAG) is registered in Malawi as a non-government, non-profit organization under the Trustee Incorporation Rules since 1994. To assist and support the Malawi government in the management of Protected Areas. WAG is an NGO, who co-manage two governmental protected areas Thuma Forest Reserve and Dedza-Salima Forest Reserve which are located in the Central Region of Malawi between Lilongwe and Lake Malawi on the escarpment of the Great Rift Valley. Together the 2 forest reserves cover an area of app. 500 km2. Generally, the topography is rugged. Slopes are steep although there is some flatter land at the foot of the escarpment. 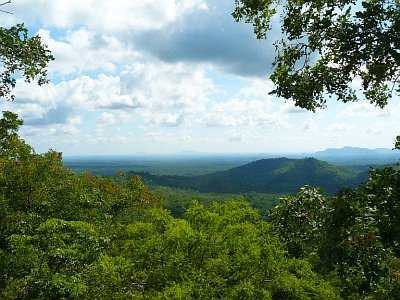 The upper levels of reserve are covered with Brachystegia (miombo) woodland whilst the lower levels are characterized by mixed low altitude woodland with patches of bamboo. Along the many streams within Thuma F.R., the habitat can be typified as riverine forest. Both reserves fulfil an important water catchment function for the area. The WAG family currently stands at 12 scouts. In order to support our conservation efforts in Thuma Forest Reserve and Dedza-Salima Forest Reserve we wish to increase the number of scouts to 16. WAG launched the Sponsor a Scout Program some years ago, which has been to date very successful. We are currently looking for people to renew their sponsorship and hoping to find some new donors for 2011 to allow us to increase our field staff. We are sure that individuals, companies or other institutions and organizations are keen to sponsor a scout - either for the full amount of 750 Euro per year or for a smaller amount suitable for you - and to make that important and highly appreciated contribution to the preservation of the rich natural resources of Malawi. With your 750 Euro per year, WAG will be able to employ another scout and equip him or her with uniforms, boots, sleeping bag and other necessary equipment. This strengthening of our field team will enable us to conduct more wildlife protecting patrols which will have a direct positive impact on the reduction of illegal activities in both forest reserves. 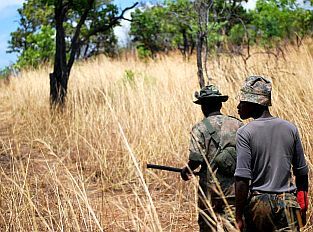 And, besides your direct contribution to the conservation of wildlife in Malawi, you also give a Malawian (the scout) the opportunity to get trained in conservation and to earn a steady income. This will enable him to feed his family, and to send his children to school or to the doctor: a win-win-situation indeed! This is a unique way for you to contribute to conservation and poverty reduction in Malawi at the same time. No percentage of your contribution will be used for administrative matters. In other words: every Euro-Cent will be used directly for the purpose it is meant for, and that is: having a scout in the field protecting wildlife! To keep you updated about the work of "your" scout(s), you will receive the regular WAG-Newsletter by email. And direct correspondence with "your" scout is also possible if you wish. If you want to visit Thuma F.R. 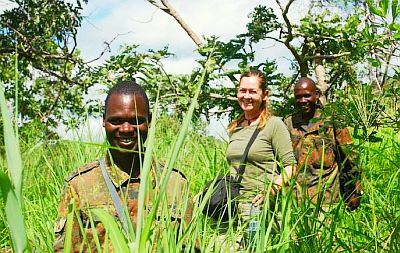 in Malawi, "your" scout will be available full time during your stay for hikes and guidance in the reserve. We hope this programme will raise your interest to contribute directly to the conservation of Malawi's wildlife and environment. If you have any other questions concerning our work in Thuma F.R. and Dedza-Salima F.R., please, do not hesitate to contact us. © 2009 Wildlife Action Group. All rights reserved.